A newly planted rose with the background out of focus. This week’s Photo Challenge asked us to share a picture that is a blur. I lack appreciation for pictures that are a complete blur, so I thought that perhaps shooting something close-up and in focus with the background intentionally out of focus would suffice. I have been enjoying the signs of spring in Pennsylvania. The greenery is a welcome relief from the long period of white and grey during the winter. This is a shot of the top of a rose bush that I just planted. The lawn is just starting to turn green, and the trees have yet to bloom. The cornstalks across the road have long since lost their golden hue. 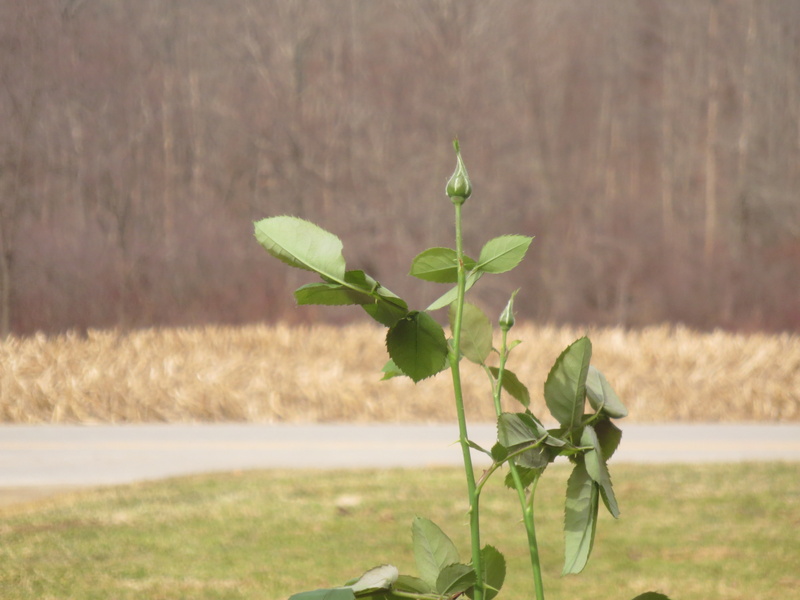 I love the contrast between the new life of the rose and the dormant surroundings. I thought the blurred background helped to highlight this. How many of you do a weekly (or daily) photo challenge? Here is my submission for this week’s photo challenge from wordpress.